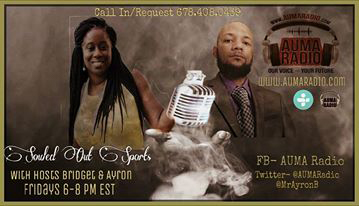 For Immediate Release: Friday, July 29th Jake Palumbo will be a featured guest on the Souled Out Sports radio show, a sports-themed music & talk radio show broadcasting from Atlanta Underground Music Awards Radio, with hosts Bridget & Ayron. The show streams live at www.aumaradio.com every Friday, from 6-8pm EST. Tune in at 7pm to hear Jake Palumbo discuss advice for upcoming artists, the ups & downs of studio life, & his upcoming 4th solo project Jake It Till You Make It.